Summary: An elder ronin samurai arrives at a feudal lord's home and requests an honorable place to commit suicide. 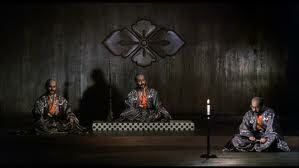 But when the ronin inquires about a younger samurai who arrived before him things take an unexpected turn. Harakiri is a 1962 chanbara film directed by Japanese auteur Masaki Kobayashi. Harakiri stars Japanese movie icon Tatsuya Nakadai in the epic role of an enigmatic ronin, Hanshiro Tsugumo. Harakiri is Kobayashi’s follow up to his magnum opus, The Human Condition Trilogy: an epic WWII trilogy, also starring Tatsuya Nakadai. At the 1963 Cannes Film Festival, Harakiri won the Special Jury Prize along with Vojtech Jasny’s ‘When the Cat Comes’. According to the dictionary definition, Harakiri, also known as Seppuku, is a Japanese ritual suicide performed by disembowelment with a sword, formerly practiced by the samurai as an honorable alternative to disgrace under the code of Bushido. In other words, under the code of Bushido, if ever a samurai fails to uphold his honor he can only regain it by performing Harakiri. 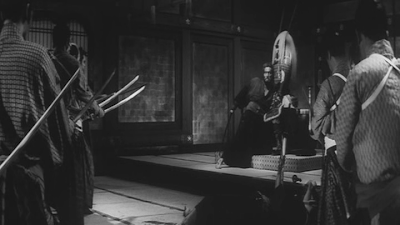 To complete the ghastly ritual of Harakiri, the performer is required to open up his abdomen using a sword, starting from left to right and then finishing from top to bottom. However, in order to curtail the sufferings of the performer, another swordsman, who is appointed as the second, decapitates the performer at the very moment the formality of the ritual is completed. The plot of Masaki Kobayashi’s Harakiri, based in the backdrop of 17th century Japan, revolves around an elderly ronin (an unemployed Samurai), Hanshiro Tsugumo who requests for a rendezvous with a feudal lord of Iyi Clan seeking his permission and a suitable place to commit Harakiri. With the intention of intimidating Hanshiro Tsugumo, the counselor of Iyi Clan narrates the story of a young ronin, Motome Chijiiwa who was manhandled by the samurai retainers of the house in order to make him fulfill his promise of committing Harakiri. Chijiiwa had hoped that his threat would be deemed an act of valor and that he would be rewarded accordingly by the lord of the house, but to his dismay he ended up becoming a hapless victim of his own misjudgment. What made matters worse for Chijiiwa was that, in his state of destitution, he had previously sold the steel blades of his sword and had surrogated them with blades made of bamboo. Unperturbed by Chijiiwa’s pitiful state, the retainers of the house forced him to commit Harakiri using the very sword, thus making the task unworthy as well as excruciatingly painful and difficult. Hanshiro Tsugumo, even after learning about the hapless fate of Motome Chijiiwa, remains absolutely undeterred. Before going deeper into the movie's plot it's important to understand that a samurai relied on the factory called ‘war’ to earn a livelihood. Unlike a civilian who thrives on peace to secure a living, a samurai made hay while basking in the glory of war. Unfortunately for him, the glory quickly faded away in the days of peace, for his services were rendered useless and his exploits were forgotten. Harakiri's plot is based in the early seventeenth century Japan when after years of unremitting war, peace had finally prevailed. During the time, the unemployment among the samurai was at its highest. 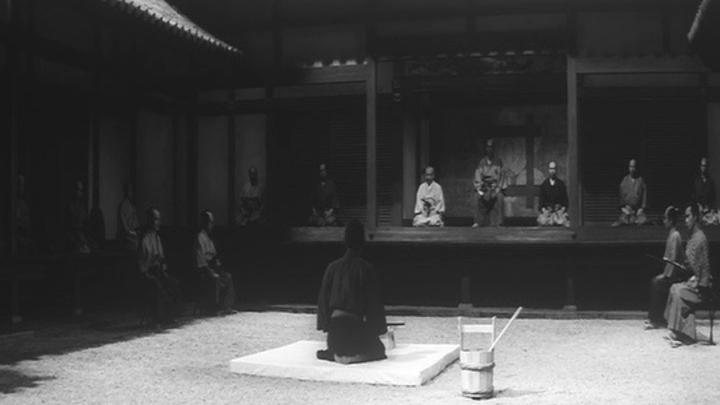 In the movie, the house of Iyi, being one of the most powerful of the surviving clans, starts getting inundated with unsolicited requests from ronins seeking the permission to commit Harakiri—a mere display of bravado with the ulterior motive of getting rewarded by the master of the clan for their apparent display of courage and adherence to the Bushido ideals. Disconcerted by this shameless display of bravado, the manipulative elder of Iyi Clan decides to put an end to the importunate ways of the samurai by pledging to make an example of anyone who dare knock at their doorsteps. As just as it may sound, it clearly was too harsh a decision to make, for in those days there was no machinery to facilitate unemployment compensation to these hapless souls. Also, their stern stand overlooked the fact that no samurai would feign the desire to commit Harakiri until and unless he was left with no other choice. Hanshiro Tsugumo is finally granted the permission to perform the ritual suicide in the royal courtyard. From the very moment he occupies his position on the small platform placed in the middle of a white-pebbled courtyard, Hanshiro Tsugumo seems like a man possessed with a strong yearning to complete his mission. A gifted storyteller, Tsugumo begins by talking about his glorious past and how his lord’s house was razed to ground by the treacherous Shogunate clan. His glacial, expression-less grizzly face slowly but steadily begins to gain a somber countenance coupled with a steely gaze—an expression of a man seeking revenge on those who ruined his life and the lives of his dear ones. In order to honor the code of Bushido, the Iyi Clan Elder, Kageyu Saito asks Hanshiro Tsugumo to choose his second. Tsugumo obliges by choosing the number one swordsman of the Iyi Clan, Hikokuro Omodaka as his second. But Omodaka, owing to poor health, is unavailable to perform the honor. Seeing the predicament, Tsugomo requests the honor of having Hayato Yazaki as his second, but he too seems unavailable for the occasion. Reluctantly, Tsugumo names Umenosuke Kawabe who, to Saito’s chagrin, is also absent on the occasion. 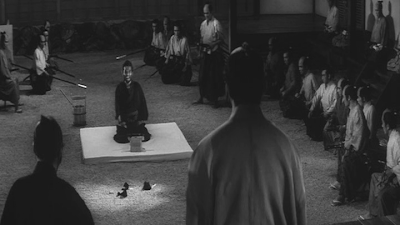 Saito seeing himself incapable of honoring the code of Bushido, in the absence of a swordsman worthy of acting as a second to Tsugumo, nominates a second of his liking and orders Tsugumo to proceed with the ritual. In the interim, Tsugumo is able to get sufficient time to complete his tale as his ulterior motive behind choosing to commit Hartakiri finally becomes clear to his audience in the courtyard. 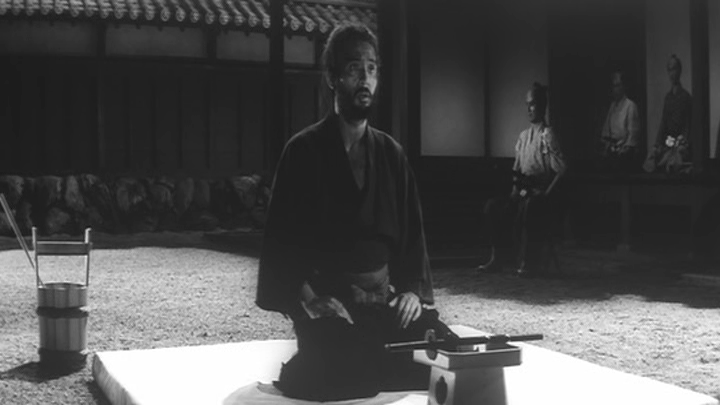 Being utterly ridiculed and humiliated, Saito desperately orders his men to kill Tsugumo. It is at this moment that Tsugumo narrates how he had single-handedly defeated the three greatest swordsmen of the Iyi clan in three separate duels. The final duel with the ace swordsman of the Clan has an operatic feel to it and the entire sequence appears to be a requiem for the dead and the hapless. Tsugumo, however, grants them amnesty, but chooses to keep their topknots as trophies. He highlights the hypocrisy of these swordsmen who cowardly prefer a life of shame—having lost their topknots—to death. He also rebukes the duplicitous ways of Iyi Clan Elder who lacks the generosity of a worthy ruler to honor the spirit of samurai and the code of Bushido. 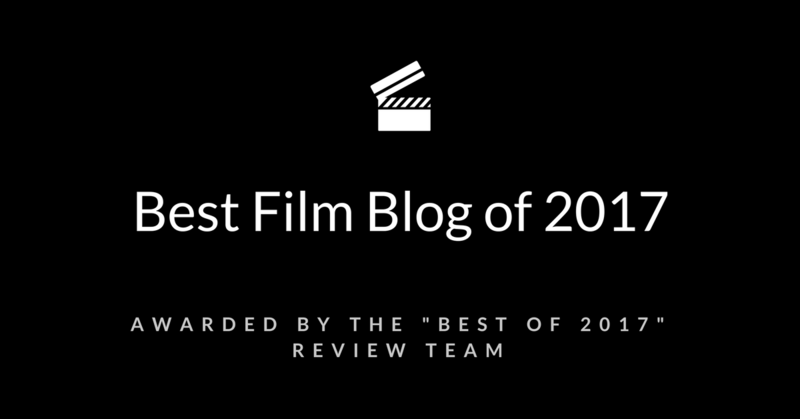 What ensues is one of the most graphic and fascinating finales ever choreographed in the history of cinema. 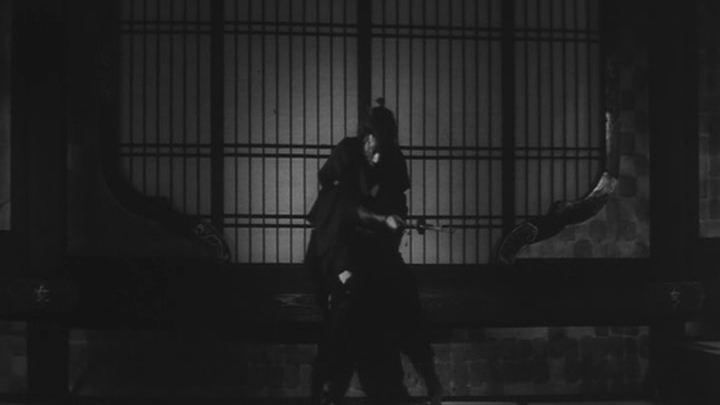 The combat sequence is not just high on gore or violence but is also extremely rich in content and perhaps that’s what makes Harakiri superior to any other movie of its kind. In one final effort, Tsugomo, mortally wounded, first manages to get hold of the Clans’s Idle—the symbol of the Clan’s honor—and then shatters it by crashing it at his feet. Aptly, the “coup degrace”—the final death blow intended to end the suffering of a wounded creature—to Hanshiro Tsugomo, after he commits Harakiri, is not rendered by a gallant swordsman, but by a bunch of coward musketeers. Thus, the code of Bushido is not violated by the brave samurai, who valiantly fights till his last breath, but is dishonored by the members of the Clan. Samurai cinema, which is more commonly referred to as ‘chanbara’ or ‘chambara’ Cinema is a Japanese equivalent of Western Cinema. It was Japanese master moviemaker Akira Kurosawa who had introduced chanbara Cinema to the West through a series of swashbuckling movies like Seven Samurai, Rashomon, Yojimbo, The Hidden Fortress (the movie that gave George Lucas the inspiration for Star Wars), Kagemusha, etc. Kurosawa’s samurai movies usually celebrated and glamorized samurai tradition and warfare on the celluloid, thus becoming the very face of the genre. But there’s a flip side to every coin that often represents a darker, grimmer and more realistic picture. 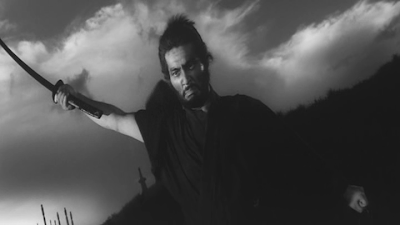 While Kurosawa succeeded in limning a glittering world of grandeur where a samurai is always the master of his fate, he, I daresay, failed to highlight the cruelties and sufferings associated with samurai modus vivendi. By this I mean no disrespect to arguably the greatest moviemaker of all time, for Kurosawa, being himself inspired by legendary American moviemakers like John Ford and Billy Wilder, knew quite well that in order to capture the attention of a completely alien audience, he will have to tread a path that his targeted audience is comfortable with. And didn’t he make it big? In fact, his phenomenal, unprecedented success in the Occident vis-à-vis his mediocre show in the Orient still remains a mystery to most. By the early 1960s, Kurosawa’s name had become synonymous with the Japanese Cinema and for that matter with the Oriental Cinema. While many promising moviemakers choked under the daunting challenge posed by Kurosawa and his ever growing oeuvre, only a few could manage to survive the onslaught. 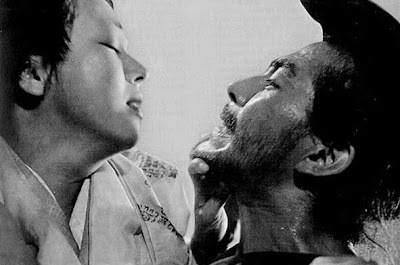 Masaki Kobayashi, with movies like Kwaidan, the Human Condition trilogy, Harakiri and Samurai Rebellion, offered a great contrast to Kurosawa’s style of moviemaking. In Harakiri, Kobayashi presents the dark side to the Samurai way of life, highlighting the uncertainty, hardships, sufferings, and sacrifices associated with it. 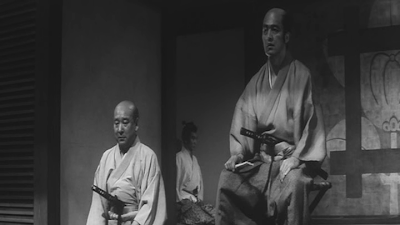 Thanks to Kobayashi’s unbiased camera and his cutthroat storytelling style the hitherto glorified, coveted, and resplendent life of a samurai appears less appealing and more realistic with each passing frame as resplendence makes way for austerity and glory makes way for humility. 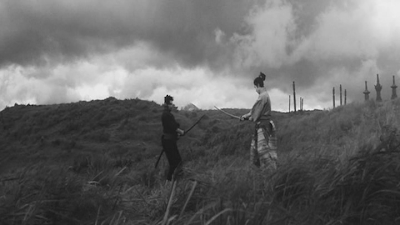 In Harakiri, Kobayashi in his characteristic style, relies greatly on character development and camera movements to create moments of sustained brilliance which are seldom witnessed in the contemporary commercial cinema. Tatsuya Nakadai portrays the character of an elderly Samurai with the ease of a virtuoso and succeeds in creating a whole new image of a samurai—one that has an obvious element of vulnerability, and hence a greater touch of humanity—in the world cinema. 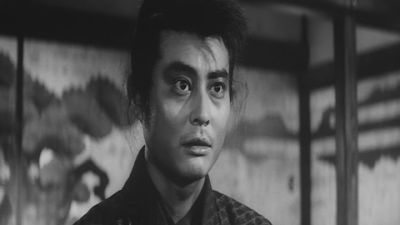 Nakadai goes through an entire gamut of emotions with a sense of effortless ease that one generally relates with Toshiro Mifune. In a career that spreads over six decades, Nakadai has given some extraordinarily remarkable performances, right from his portrayal of a pacifist in the Human Condition trilogy to his portrayal of a feudal lord's double in Kagemusha to his portrayal of a senile warlord in Akira Kurosawa’s magnum opus Ran (1985), but, I daresay, none can overshadow his consummate portrayal of an elderly, destitute ronin in Harakiri, where he is a revelation, both as a swordsman as well as a storyteller, and where his face is sometimes as expressionless as a gravestone while on other occasions his single expression seems worth a thousand words. The rest of the cast gives great support to Nakadai, thus adding immensely to the power and the charm of the movie. The black & white, wide-angle cinematography adds great detail to the movie that helps bring the characters to life, for one feels as if one is witnessing the incident live with one’s naked eyes rather than watching it through some artificial medium. Overall, Harakiri serves to be an unparalleled cinematic achievement that adds a whole new dimension to ‘Samurai’ or ‘Chanbara’ Cinema. 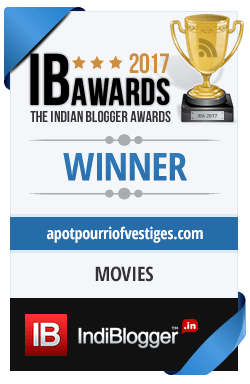 Harakiri, against all odds, through the sheer brilliance of its plot and unique storytelling, has managed to see the light of the day. Today, it is widely regarded as one of the greatest movies of all time. 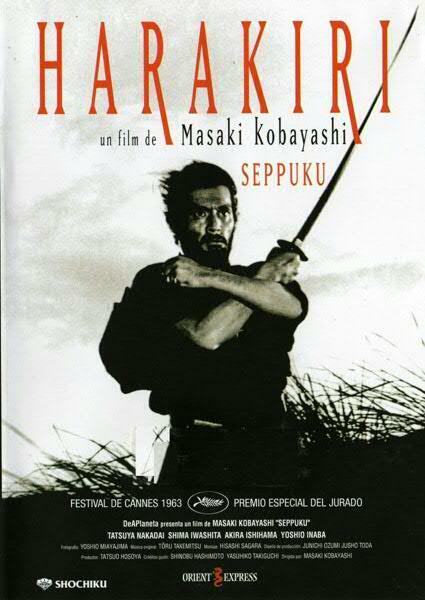 Renowned movie-critic Roger Ebert has added Harakiri to his list of ‘Great Movies’. 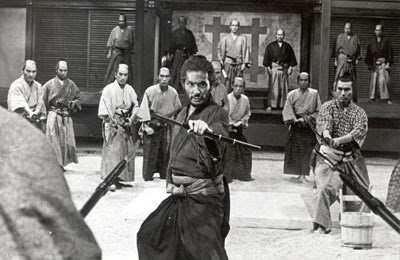 He writes, “Samurai films, like westerns, need not be familiar genre stories. They can expand to contain stories of ethical challenges and human tragedy. 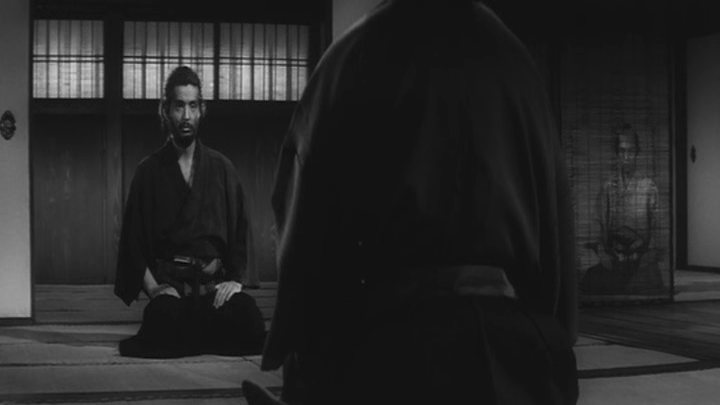 Harakiri, one of the best of them, is about an older wandering samurai who takes his time to create an unanswerable dilemma for the elder of a powerful clan. By playing strictly within the rules of Bushido Code which governs the conduct of all samurai, he lures the powerful leader into a situation where sheer naked logic leaves him humiliated before his retainers.” Harakiri is masterfully crafted from inception to finale and not a single moment is wasted with each frame immensely contributing to the efficacy of the end product. The time switching (imparted trough the flashback narrative) vaguely reminds one of Citizen Kane and Rashomon. It’s worth mentioning that recent remake of Harakiri by Takashi Miike—Hara-Kiri: Death of a Samurai (2011)—failed to make any impression despite being backed by a huge budget. As this trend of remaking the classics continue to plague the world of cinema, it’s absolutely certain that no modern-day gimmick can help match the power of unadulterated, pristine cinema, and the only way to do some justice to the original work of art is by retracing it from its roots, for any other attempt is ought to go awry resulting in unworthy renditions. 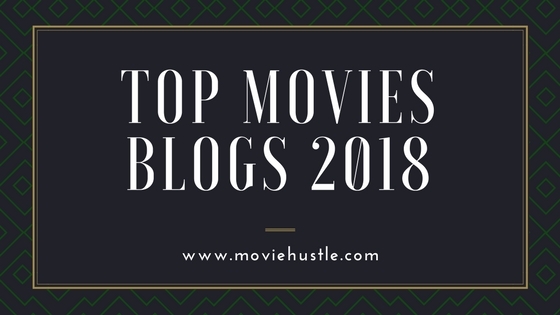 Harakiri is highly recommended to all those who don’t want to be spoon-fed as viewers and are inclined towards cinema that has the power to make them contemplate beyond the length of the movie. 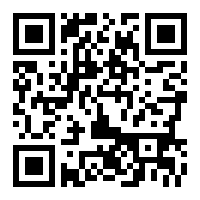 Readers, please feel free to share your opinion by leaving your comments. 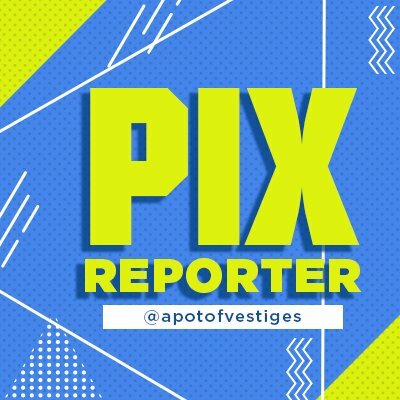 As always your feedback is highly appreciated! Wow, fantastic work on this review Mr. Ali. I needed to see these wonderful images again to erase the remake from my mind. I think you would also enjoy the more recent trilogy directed by Yôji Yamada. Twilight Samurai, The Hidden Blade, and Love & Honor. Depicting the stories of downtrodden and lowly samurai. Thanks Marcello! 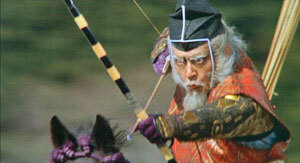 I am a great fan of Japanese Cinema and Japanese moviemakers, especially Akira Kurosawa and Masaki Kobayashi. I greatly revere Toshiro Mifune and Tatsuya Nakadai for the great service they have rendered to the world of Cinema. 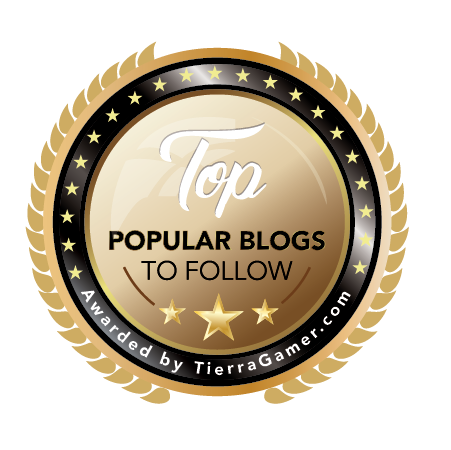 It would surely love to visit your esteemed website more often. 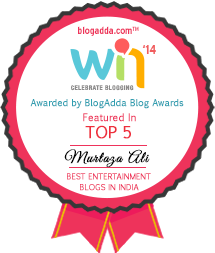 Thanks once again for sharing your valuable opinion!